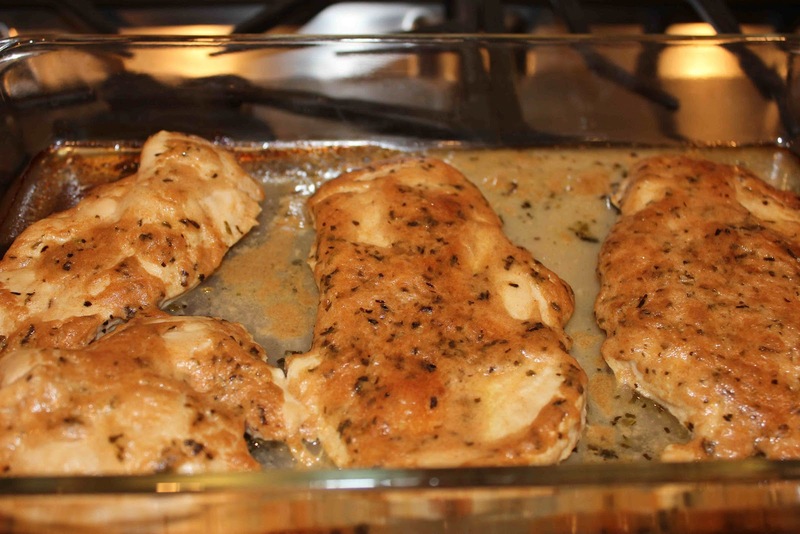 Here’s a healthy chicken recipe that my mom and I made a while ago for a “girls night”dinner while my dad and husband, Matt, were at a baseball game. The chicken is less than 200 calories, has only 6 grams of fat, and packs 27 grams of protein. Dried tarragon, dijon mustard, olive oil and lemon juice create a delicious combination of flavors in this quick and easy poultry dish. The lemon juice can be a little tart, but is very refreshing, especially if you make this dish in the spring or summer. Serve the chicken over rice, pasta or potatoes, and drizzle with extra sauce. Enjoy! 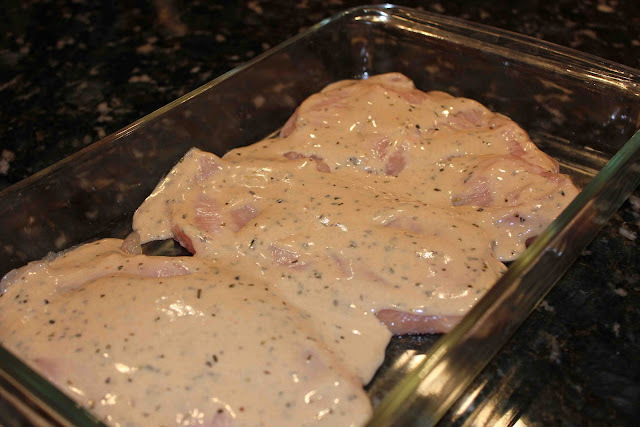 Pound chicken into thin cutlets and place in a shallow glass baking pan. Bake for 40-45 minutes at 350 degrees F.
Serve over rice and drizzle with remaining sauce. 1. Wash the chicken and pat dry with paper towels. Put the chicken between sheets of wax paper and pound with mallet or rolling pin until even thickness. 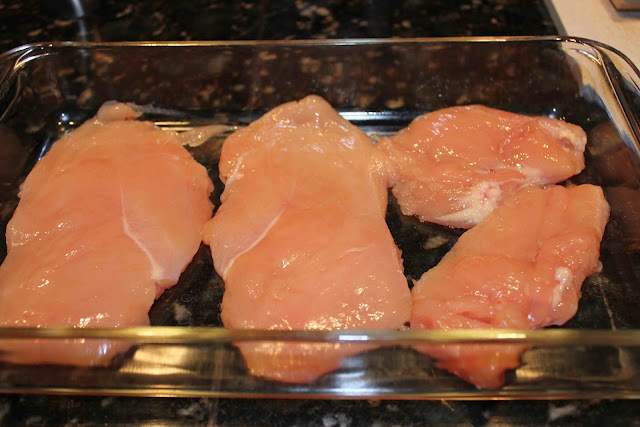 Place chicken in a shallow glass-baking pan. 2. Preheat the oven to 350 degrees F. In a small bowl, whisk together the olive oil, mustard, lemon juice, and tarragon (or basil or oregano). Pour it over chicken and bake uncovered 40 to 45 minutes. 3. Slice the cooked chicken on the diagonal and serve one chicken breast or 4 ounces per person. 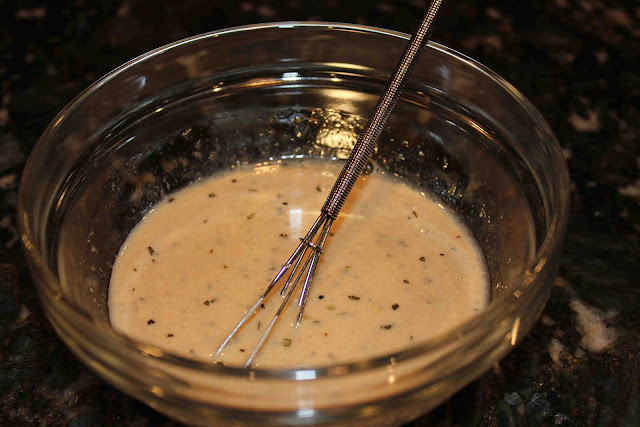 Serve over pasta, rice, or potatoes and spoon some of the sauce over each serving. 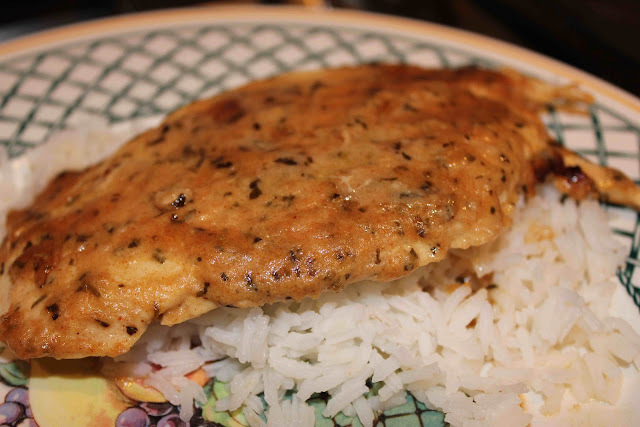 3 Responses to "Lemon Chicken"
I have not having habit of take such foods but I like this awesome food presentation. Sounds it has method to cook. It would be love to consider it in my dinner. Urban Rogers (he works at our church in Arlington now) told me about your blog so I was anxious to check it out. You have some delicious sounding recipes with beautiful pictures. Can’t wait to read more. Thanks for the note! I looked at your blog, and talk about good pictures…yours are gorgeous! Those chicken cutlets look amazing. Also, tell Urban I said hi. We miss him at Grapevine.